Sermon: See It, Believe It, Proclaim It: Jesus Is Alive! See It, Believe It, Proclaim It: Jesus Is Alive! News too good to be kept quiet. Singles and couples welcome, ages 18-25 We study the Word, worship, and hang out often! Bart Barber has served FBC Farmersville since 1999. He is married to Tracy (Brady) Barber. Together they have two children, Jim and Sarah. Bart is a native of Lake City, Arkansas, where his parents had him in church before he was born. God saved him at the tender age of almost-six, called him to preach when he was eleven, allowed him to preach his first sermon (such as it was) when he was fifteen, and permitted him to serve as a pastor of a church when he was a senior in high school. Bart has a B.A. from Baylor University in their University Scholars program, an M.Div. from Southwestern Baptist Theological Seminary in Fort Worth, Texas, and a Ph.D. in Church History, also from Southwestern. For his dissertaiton he wrote about a denominational split among Arkansas Baptists in 1902, suggesting that they all should've gotten along with one another. Tracy is very involved with Southern Baptist Disaster Relief. In fact, she's the state coordinator for Texas Baptist Men in the area of caring for children during the aftermath of disasters. The Barbers homeschool their children, whom God placed in the family via adoption. Jim is very involved in Texas 4H Shooting Sports. Sarah is an award-winning seamstress. Bart writes occasionally for the SBC Voices blog, and even less frequently for his own blog, PraisegodBarebones, which is named after a 17th-century religious and political figure in London. 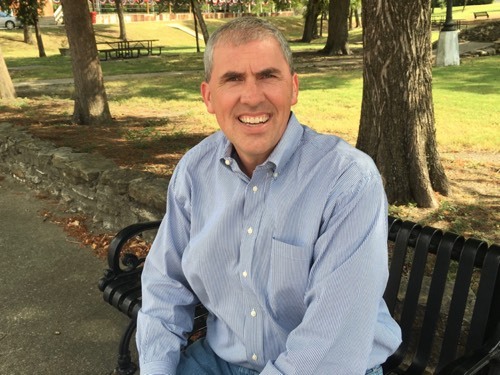 He is active in denominational life, serving Southwestern, the Southern Baptists of Texas Convention, and the national Southern Baptist Convention. Bart's goal in preaching is to preach text-driven sermons. In other words, he sees it as his goal in preaching for you to walk away from the sermon understanding better what the Bible teaches and knowing what God wants you to do with your life. Often he preaches through books of the Bible from start to finish, sometimes pausing in the middle to address other needs. Bart has done a lot of things recreationally in his life. He has a private pilot's license, which he doesn't really use anymore. He's a bit of a tech-geek (computer programming and such). He plays the guitar, the banjo, and the mandolin (at least, well enough for his own enjoyment). But to tell you the truth, his favorite hobby is simply learning something new. 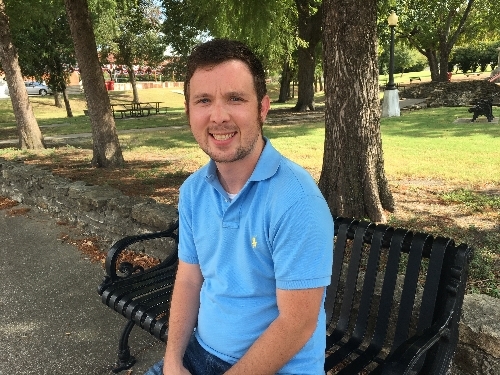 James Cheesman was called to serve as Associate Pastor at FBC Farmersville in the spring of 2015. His primary role is leading the music and worship ministry of the church. He also helps in other ministry areas and loves teaching, discipleship, and missions. James lives in Farmersville with his wife, Megan, who is also a church musician and a piano teacher. James met Megan, who is originally from Canada, in Fort Worth, where they were married in January 2015. James and Megan are blessed to have a precious baby girl, Claire. James' father, a Music Minister in Cuero, Texas, cultivated a love for music in James from an early age. James plays the piano, guitar, French horn, mandolin, accordion, and various other instruments. He also is a vocalist and a choral enthusiast. He enjoys songwriting, including writing rock melodies, acoustic ballads, praise and worship songs and hymns, as well as composing and arranging choral and instrumental music. Sheet music, chord charts, lead sheets, and recordings of several of James' original songs and arrangements are available on his website (www.jamescheesman.com). His compositions and arrangements have been sung by high school choirs, seminary choirs, men's ensembles, youth choirs, and church choirs in Texas, Georgia, New Jersey, and Tennessee. After graduating from Cuero High School, James attended Baylor University in Waco, Texas. He earned his Bachelor's Degree in Church Music with a Concentration in Piano and a Minor in Religion. James went on to earn his Master's Degree in Church Music with a Concentration in Music Ministry from Southwestern Baptist Theological Seminary. James has been leading worship since he was 16. He served as the Minister of Music at FBC Marlin, Texas, where he was ordained in August 2012, an intern at First Baptist Nashville, Tennessee and the Music and Worship Pastor at Grace Baptist Church in Fort Worth, Texas. James is a big fan of the San Antonio Spurs, Dallas Cowboys, Baylor Bears football and basketball, and various soccer teams (FC Dallas, Tottenham Hotspur, and USA Soccer). Since he married a Canadian, he has even started following hockey. He and Megan also run frequently and get pretty competitive when playing board games. Tracy Odneal has been serving FBC Farmersville since October 1996. He married Laura (Caudle) Odneal in 1988. They were blessed with one child, Emily, who graduated from Oklahoma State University in December of 2013. 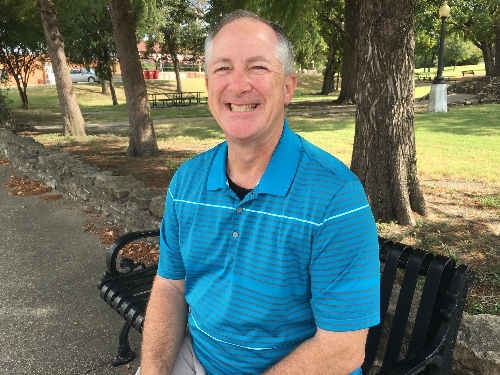 Tracy accepted Christ as his Lord and Savior two weeks after he graduated from Greenville High School in 1980. He answered God’s call to ministry in 1996 at the age of 34. This is his first and only church staff position. Tracy graduated from East Texas State University in 1991 with a BBA in General Business. He received his Master of Arts in Christian Education degree from Southwestern Baptist Theological Seminary in 2002. God has given Tracy a heart for teenagers. He often says that God wired him weird because in his fifties he still loves to hang out with teenagers. We at FBC Farmersville have been blessed through the years to have some amazing teenagers. Several of them have gone in to ministry and are extending the ministries of FBC Farmersville around the globe. Jason Points has served FBC Farmersville as the Children's Pastor since July of 2017. Before that he served as the Children's Pastor at Hickory Tree Baptist Church in Balch Springs, Texas. Jason has a love for seeing people understand the gospel in a transformative way. Over the last few years, he’s been known to use #RestoreTheImage on any of his social media posts that are intended to encourage and remind people that we are made in God’s image and God seeks to restore that image through King Jesus. Jason graduated from Criswell College (Dallas, Texas) with a BA in Biblical Studies with a particular focus in biblical languages in 2014. Then in 2017 he graduated with a MATBS (Masters of Theological and Biblical Studies). He also had the incredible opportunity to study at Beijing Normal University for the 2007-2008 school year. He is passionate about taking the gospel to the nations and fostering effective multi-cultural ministry wherever God leads. 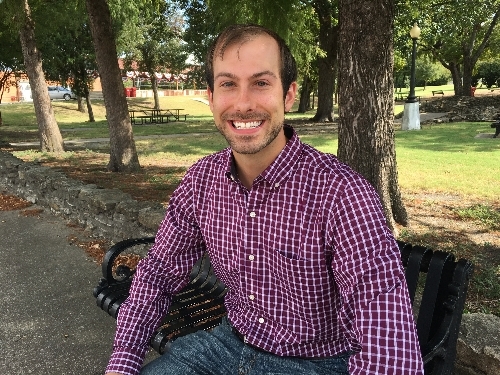 In his spare time, what little he has, Jason enjoys going to Dallas Stars hockey games, discovering hidden architectural marvels throughout Dallas-area small towns, and collecting and reading as many books as he can get his hands on. We are changed by the gospel. We believe that every person in the world has sinned. When I sinned, it changed my relationship with God and my inward nature. It changed my relationship with God because a verdict of guilt came upon me and I stood condemned. It changed my inward nature because sin is like an addiction. Sinning makes me a sinner—a person whose nature is inclined toward sin. Jesus died on the cross, was buried, and rose again in order to open a door to escape the effects of sin. By way of the gospel of Jesus Christ we can be pardoned for our sin. By way of the gospel of Jesus Christ we can be changed from a sinner to a saint in terms of what we do, say, think, and feel. We are a Bible-based church. We believe that the Bible is true without any mixture of error. We seek to derive our theology, ethics, structure, and worship patterns from the Bible. When our culture asks difficult questions, we try to respond with biblical answers. We are telling people about Jesus and inviting them to follow Him. Our church is involved in evangelism and missionary work throughout the world by way of our partnership with other Southern Baptist churches. We have been involved directly—going ourselves, beyond our giving and our praying—in local work; throughout Texas; in places in the United States, including Utah, Montana, and Chicago; and international destinations like Senegal, Guatemala, Cuba, China, Thailand, Ecuador, Haiti, and Great Britain. Our church serves others. Our partnership with Farmersville churches through City on a Hill Ministries provides food, clothing, and bill-payment services to our needy neighbors. Through individual church members who participate in SBC Disaster Relief and through our church's mission trips we have responded to Hurricanes Katrina, Ike, Rita, and Harvey; Superstorm Sandy; tornadoes in multiple states; and tsunamies in the Western Pacific.